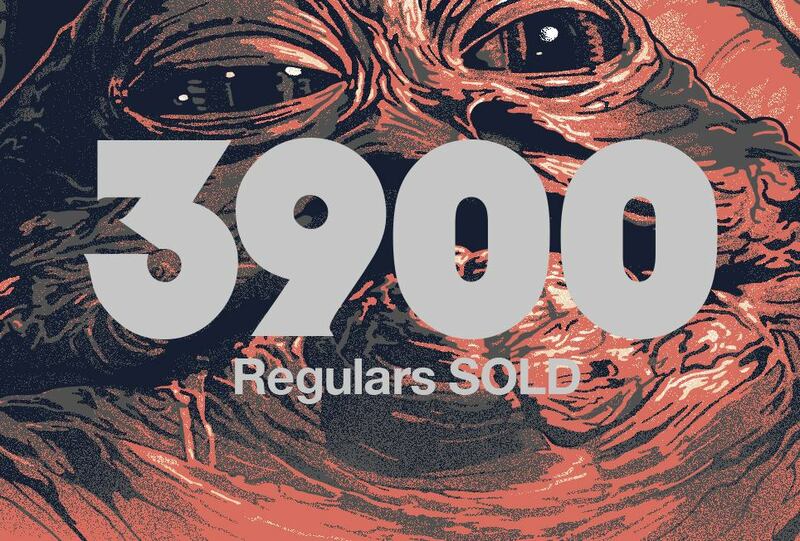 As some of you might have saw yesterday, the final edition of the regular "Star Wars" print by Gabz ended up being 3900! Words can't describe how incredible all of you are. All of us at Bottleneck, Acme Archives, Lucasfilm and Gabz can't thank you enough. We also want to thank every outlet that picked up the print on their sites. In the past, we have done a few timed releases and this was by far the biggest that the gallery has ever seen. Being that these are hand made screen prints, the process does take a little longer to make. We mentioned in the description it would take 6-8 weeks to ship. We are still on schedule for that even with the increase volume. We will be sending you guys emails during the process just to keep you updated and anytime you have a question or need to change info, we are always here to help. We do have one more limited Star Wars related release to close out the year so be on the lookout for that. That set will be tubed and shipped same day so it can arrive just in time for the holidays.